I decided to try the eclipse cards but I just used a Lawn Fawn XOXO die that I had. 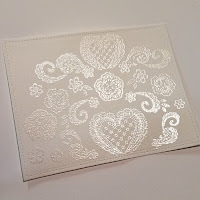 I started by using a pearl embossing powder on my watercolor panel. 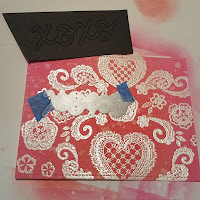 Next I colored the panel with some distress oxides. 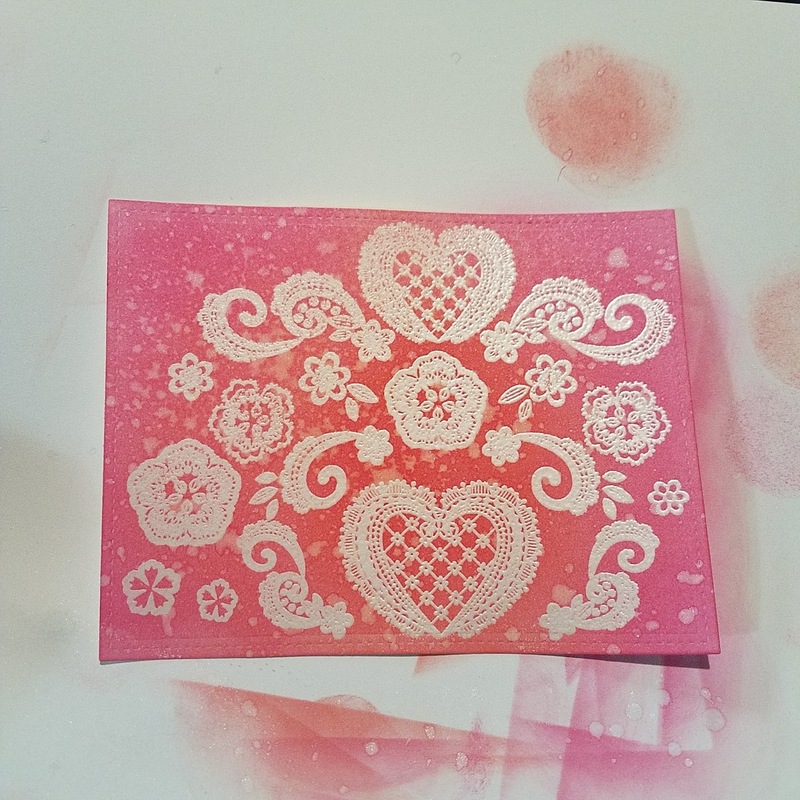 I used some perfect pearl water and flicked it on the panel. 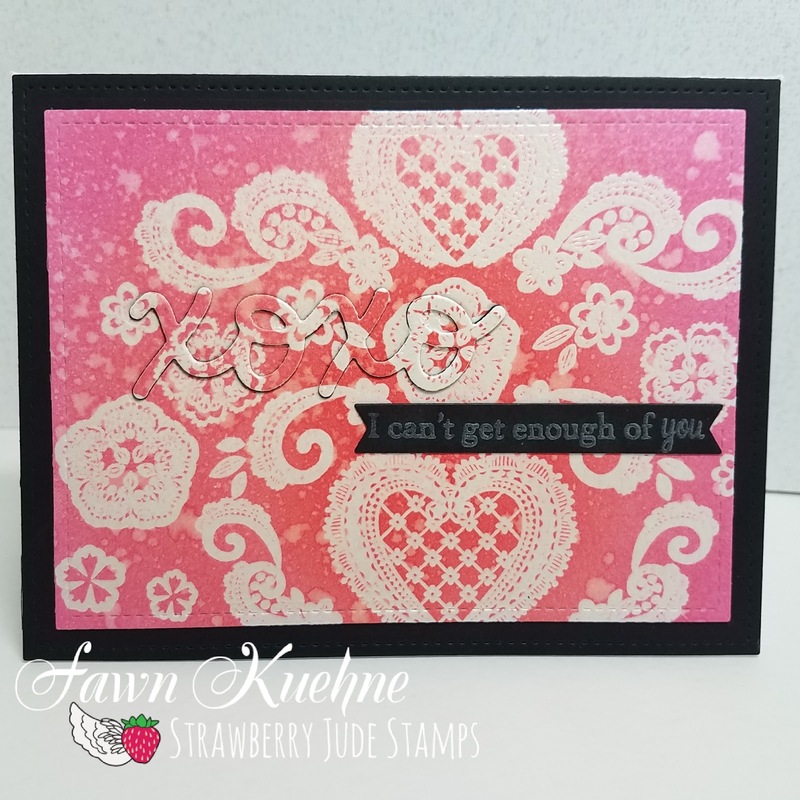 I trimmed my panel down a size and used my XOXO die on the panel and on a piece of black card stock, the same that I am going to make my base panel for this card. The next step was to apply the panel die cut to the black die cut. . . 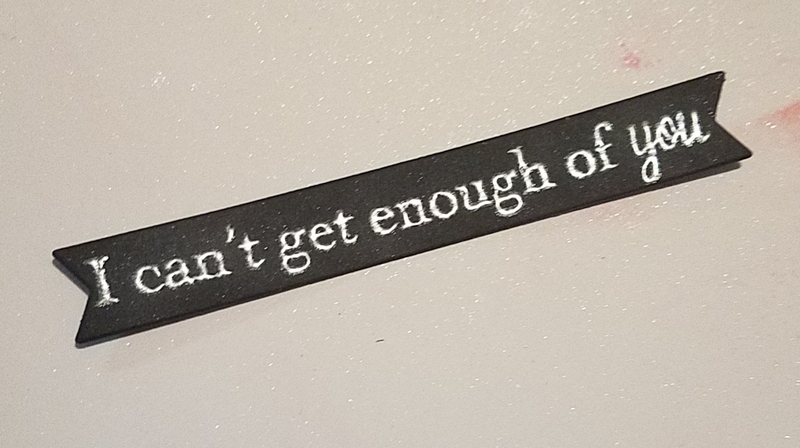 I actually ended up cutting the die out of the black paper one more time to give it enough height. 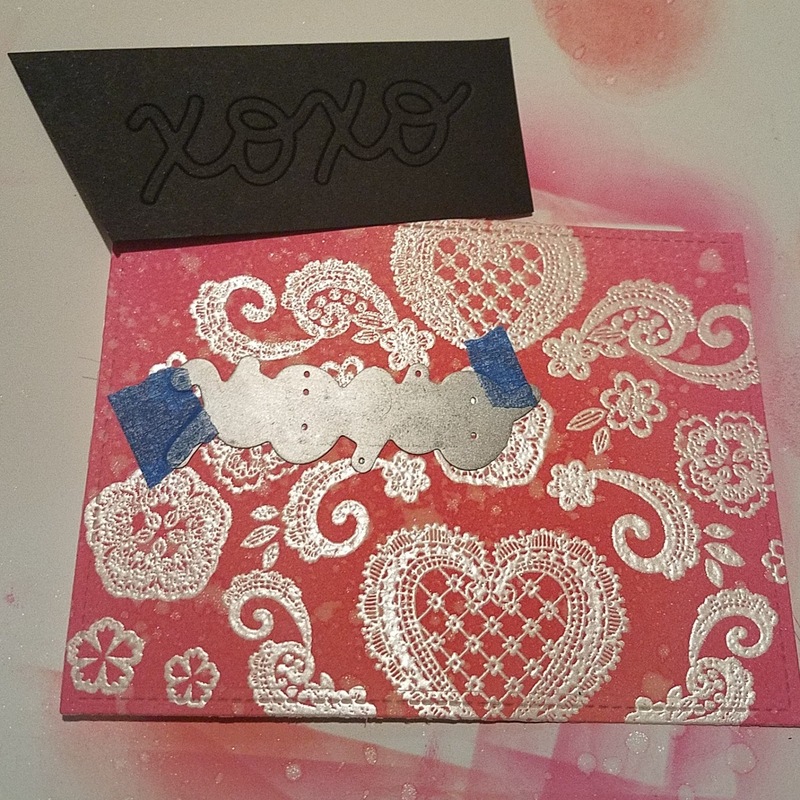 I cut by black base panel, added my embossed resit panel and adhered it to my card base. 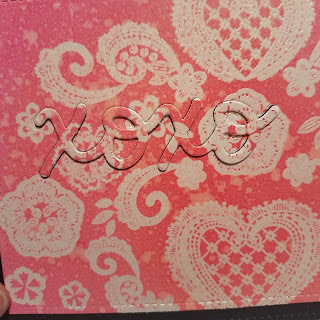 Then I placed my stacked XOXO into the space on the card base. The pieces of the O's that would have been removed did not get any layers behind it and I think that really helped it to stand out better. 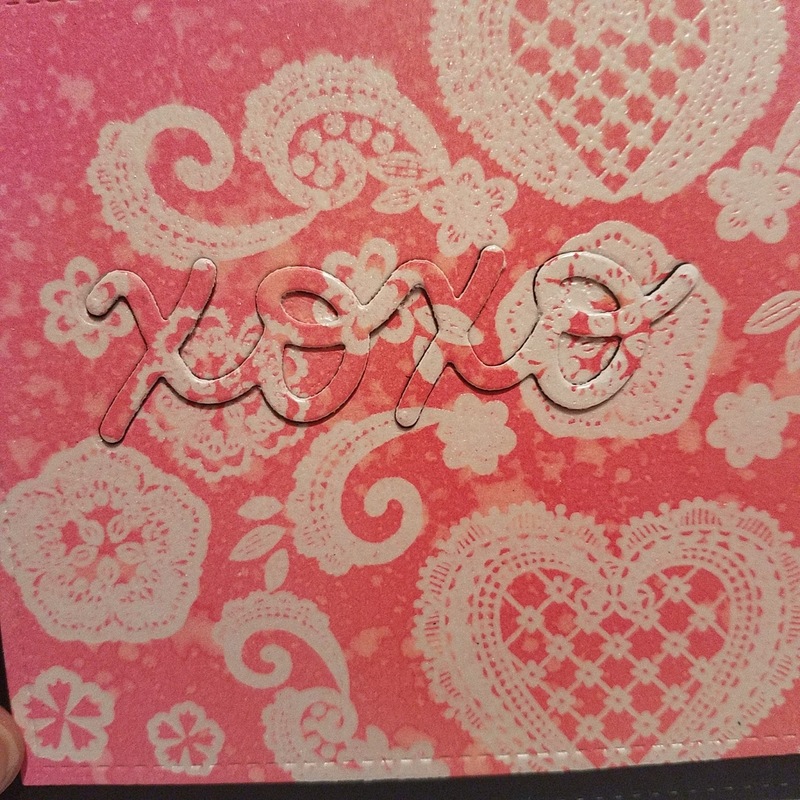 I cut a banner from black paper and used the same pearl embossing powder for the sentiment and added it to my card right under my XOXO. I am entering this card in the Simon Says Stamp Monday Challenge: Resist It. 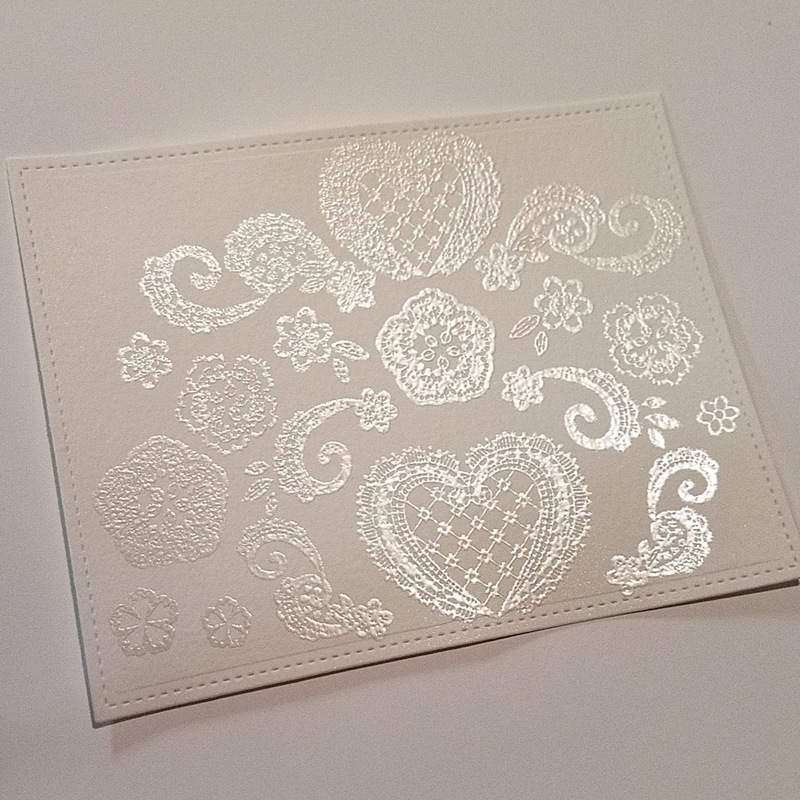 What a beautiful card! 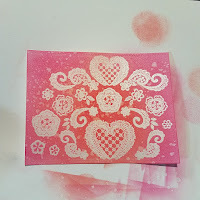 I absolutely love thw ay you created your background - love this resist technique!! 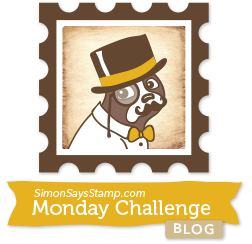 Thank you for playing along with us over Simon Says Stamp Monday Challenge! We all hope to see you again soon!